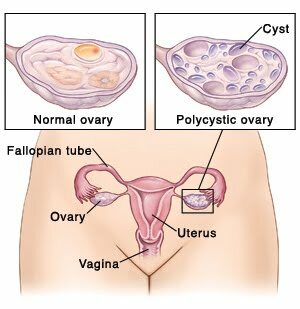 The exact cause of Polycystic Ovarian Symdrome (PCOS/ PCOD) is not clearly known, although it is linked to hormonal imbalance. In PCOS, the ovaries contain multiple cysts which produce excess masculine hormone. This results in many symptoms like excess hair on the body, irregular menstrual cycle, infertility, overweight, Diabetes and Hypertension. The condition as well as its medical treatment is emotionally harrowing for the patient as they have to undergo many hormonal treatments to conceive or even to reduce their symptoms. Alternative Healing Therapies like Foot Reflexology and Reiki help complement the treatments, help reduce side effects of medication as well as in some cases (based on claims of patients and practitioners) even help in curing the disease. Traditional Foot Reflexology involves stimulating areas on the feet that correspond to specific organ systems of the body. It is believed that all diseases are caused by an imbalance in energy flow of the body which is also affected by accumulation of toxins. This imbalance can be due to many reasons but one major reason is stress. Many ladies who have received reflexology therapy around the world have claimed that Reflexology has helped them overcome the symptoms of PCOS and even helped them conceive. Reflexology focusing on the Endocrine System, helps regulate hormone levels in the body. Reducing the number of follicles in the Ovaries. Irregular menstrual cycle and increased follicles in Ovaries are two out of three major symptoms of PCOS. A well known Reflexologist in Devon, Jane Holt, has many clients who claim that Reflexology has helped them conceive. Although the effects of Reflexology on PCOS and hormone balance in the body still requires further scientific and medical study, many people who have undergone the treatment claim effectiveness of the therapy. As is the case with most alternative / complementary therapies, it is always difficult to tell whether it was only the therapy or a combination of medicine, therapy and other lifestyle factors that helps cure a particular disease. However, since Reflexology is a completely non-invasive therapy, it is worth trying the treatment on a regular basis. Reiki has proven to be very effective for swellings, pain and emotional turmoil. It helps heal a person on all levels- physical, emotional and spiritual. It consists of positive healing energy of the universe passing from the therapist via the hands to the patient. Reiki is generally given on the Chakras of the body but is also given on a specific affected area. Women suffering from PCOS undergo hormone therapy and many other invasive medical therapies that can be prove to be emotionally taxing. Medical practitioners do not have the time to counsel each patient for what they go through emotionally. This is where Reiki comes in. Through personal experience we have found that in any disease, Reiki provides a certain will power, strength and faith that are required to face the situation. The relaxation resulting from Reiki is “Out of this world,” in the words of many of our clients. Those who are anxious, stressed and undergoing rigorous medical treatment have trouble sleeping and Reiki helps in enhancing sleep and mind and body relaxation. There are mixed claims of patients in regards to Reiki. Some say it helped cure them of PCOS while others say it did not cure them but helped relax and reduce the symptoms. However, again, Reiki is not a religious practice, nor is it invasive. Even those who did not believe in it, start having some faith in the therapy after experiencing its effects first-hand.